To follow-up on yesterday’s blog, I was getting ready email Todd Masters of MastersFX. Suddenly, I remembered that I have a job coming up next month, but I won’t know my work dates until December 1. I will contact him after the first. Or…. maybe I should just email him the questions instead of trying to run him down for an interview? Until then, here is a tidbit I found online about Todd Masters and his work on the upcoming Underworld: Awakening movie…. 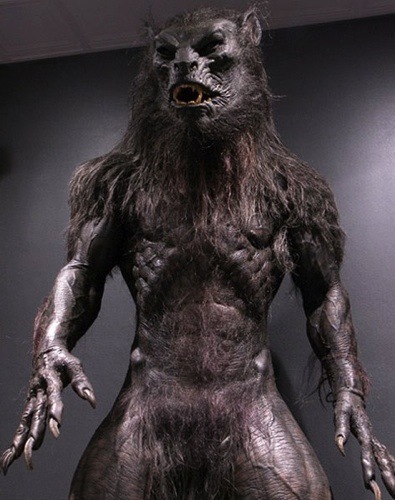 Fearnet.com reported that Todd Masters worked closely with Patrick Tatopoulos and Steve Wang on the Underworld 4, new lycan suit design concept. Making it easier to move around in and a better design than the previous suits. It’s great to hear that Masters, Tatopoulos and Wang get along so well. I hear so much about the cattiness of artist in the industry. It’s nice to have the major players setting a good example for the rest of us. Anyway, I am interested to see if I can get a peek at those designs, find out more about the process of making prosthetic suits for feature films, and how special fx makeup is affected by CG. Also, I have always wanted to make a prosthetic monster suit. I understand the basic concept of creating a prosthetic suits. I know enough to know, there is a lot more for me to learn. Prosthetic suits are a MAJOR undertaking. Is it even possible that it can be done outside of a shop? Maybe Mr. Masters can give me some advice that I can post for all those interested in giving it a go? Maybe? Time will tell. Have you ever made a prosthetic monster suit outside or inside of a shop?